The life cycle from your iPhone’s point of view. I’m a sucker when it comes to upgrading to the latest iPhone, but like a lot of people I’ve stopped to think about how bizarre it is that new iPhones go from coveted items we’ll queue up for hours to get our hands on, to scratched, slightly-battered handsets we’ll sell or pass on to friends — all within the course of just one year. 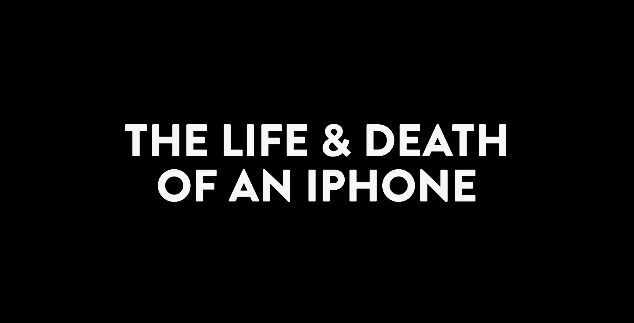 Filmmaker Paul Trillo has taken this idea and used it to put together a pretty nifty short film showing off the life, death and reincarnation of one such device — all shot from the point-of-view of the iPhone itself. It’s a funny, clever, and weirdly poignant short movie — that’s made all the better by the fact that the whole thing was put together on Trillo’s iPhone, courtesy of Vimeo’s new Cameo app. In some ways it reminds me of the Modern Family episode which aired earlier this year, shot entirely using Apple products — ranging from the iPhone 6 and iPad Air 2 to MacBook FaceTime cameras. This entry was posted in Apple news and tagged cameo, Film, iphone, Paul Trillo. Bookmark the permalink. Wallpapers of the Week: Airplane wallpapers for iPhone. Apple’s new material will eliminate iPhone’s unsightly antenna lines.